Sweeten up your day and get yourself a pink sprinkled, Homer Simpson donut from Krispy Kreme! Literally serving every donut under the sun, pick from flavours like Mint Chocolate, Strawberries and Kreme, Lemon Meringue or simply Original Glazed. These little pieces of joy can turn a frown upside down in seconds. It’s hard to believe Krispy Kreme serves anything else but donuts, but they do! Coffee, cold drinks, milkshakes are also on the menu. Check this page regularly for Krispy Kreme student discount codes to get a cheaper deal on your next delicious treat. Don’t miss any deals and sign up for FREE to get instant access to Krispy Kreme student offers and vouchers! 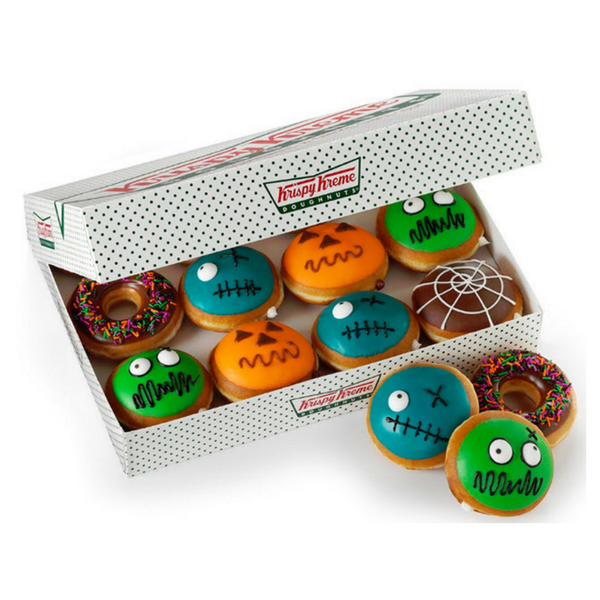 So, next time you pop into one of their shops, use our awesome Krispy Kreme codes and get money off your next donut! Exclusively for students, apprentices and people aged 16-26.